Sole Business Systems maintains its headquarters in Cleveland, Ohio. 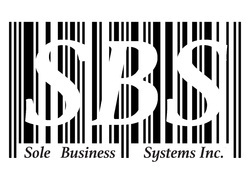 SBS was established in 2004 after 30 years in the Cash Register & Point-of- Sale industry. Providing Sales, Service, and Supplies; we have the "Sole-ution" for all your Point-of-Sale needs! We strive to provide top of the line customer service and results while still delivering the best prices. Come see both new and used machines and equipment at our showroom and warehouse downtown. Sole Business Systems offers a wide range of products including: Point Of Sale Touch Screen Systems, New & Gently Used Cash Registers, Scales, Scanners, Surveillance, Printers, Integrated Credit Card Systems and more. Programming, Installation, and Training is included in the price of all Point of Sale we sell! With over 30 years of experience, we are able to sell and service almost all POS and Cash Register brands including: Casio, Omron, Royal, Sharp, Uniwell, Samsung, Sam4S, Swintec, Sanyo, Taros, Tec, Towa and more! 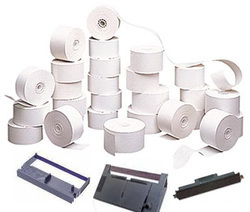 Sole Business Systems is proud to offer top quality register and POS papers (print & thermal), Ribbons, Scale Labels, POS Peripherals, Keyboard Spill Covers and more at discounted prices. Please contact us to place an order or for pricing information.